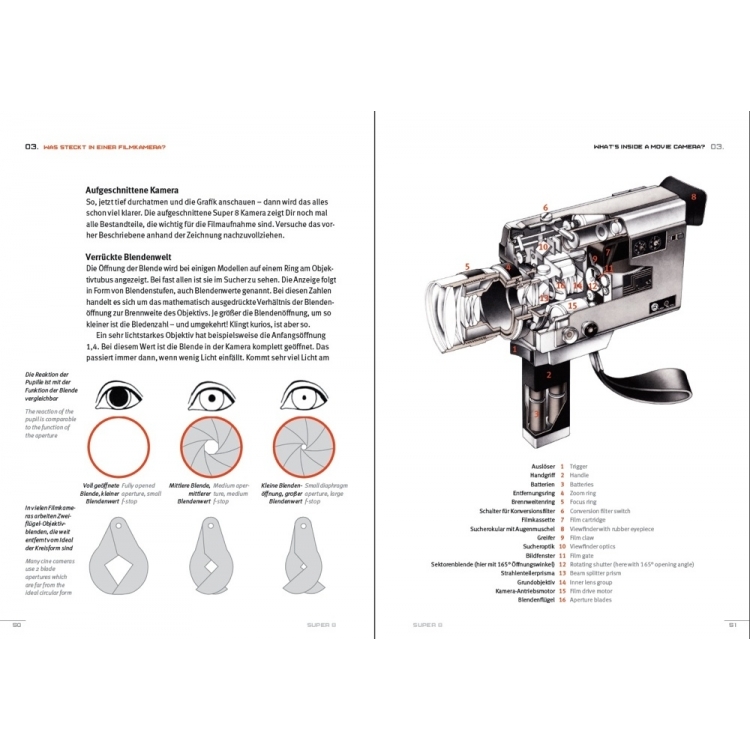 The film handbook for the digital age – with brief instructions for Super 8 film beginners. How is film different than video? 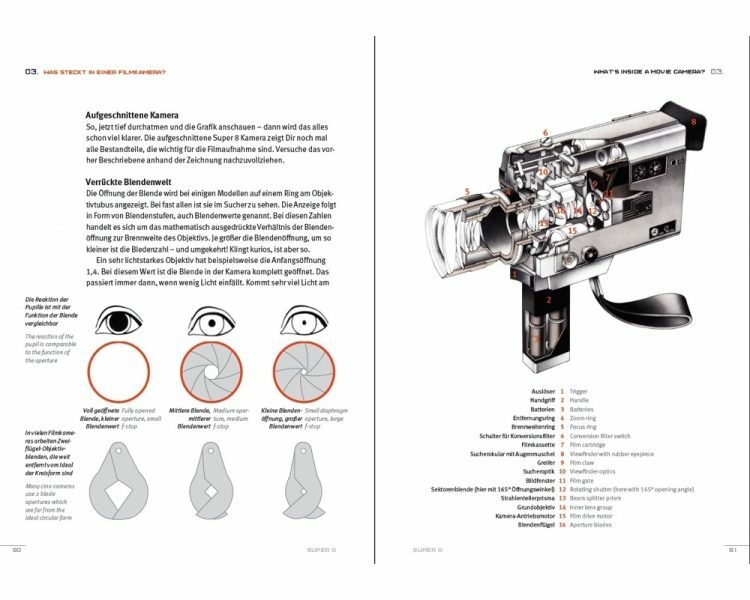 How do I find the right camera? What film stocks are available today? 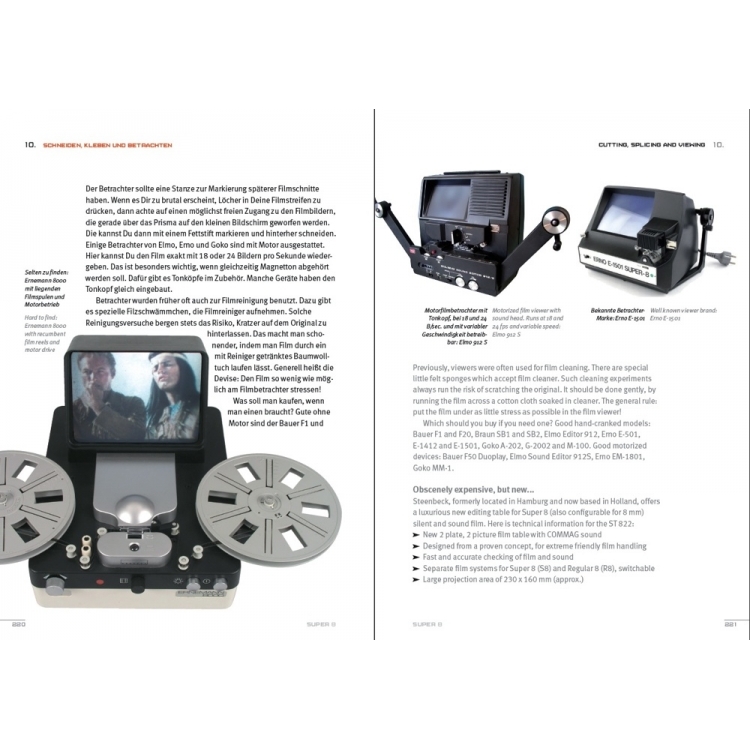 This handbook answers the most important topics for Super 8 enthusiats. How can I do it myself? Who should I let repair my camera? How do I maintain it? 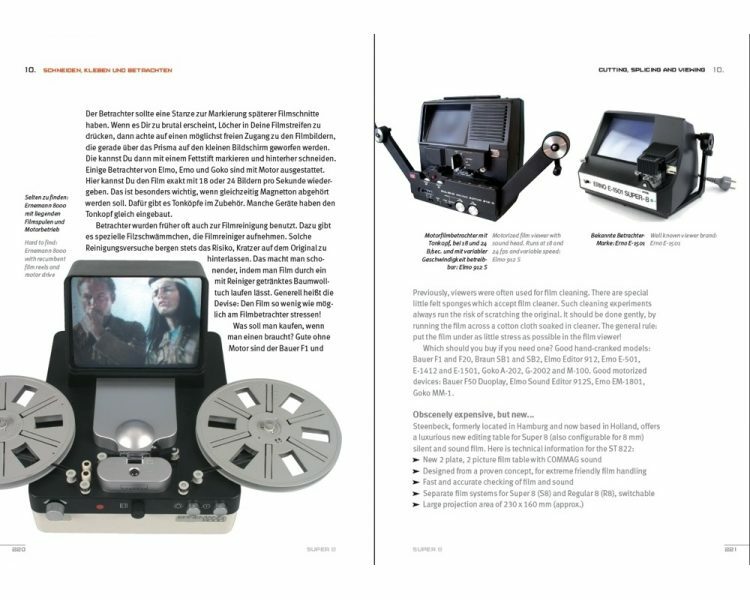 What digital scanners are available for Super 8? 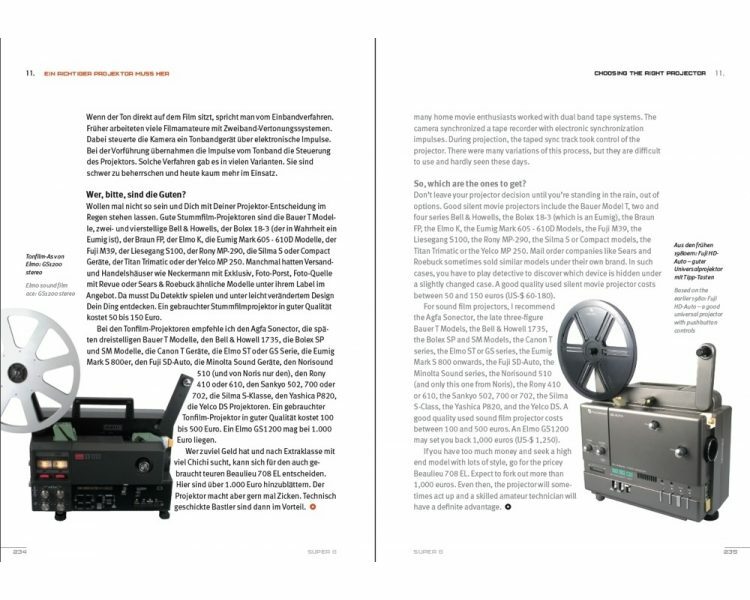 How do I edit film on computer and use the additional possibilities it offers: Image stabilization, colour correction, film improvement with Avisynth? 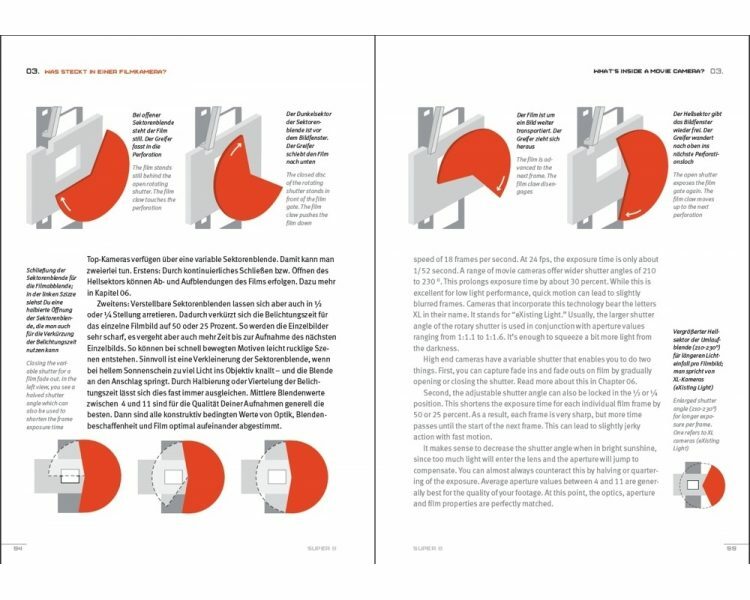 How do I work with wet or tape splicers? 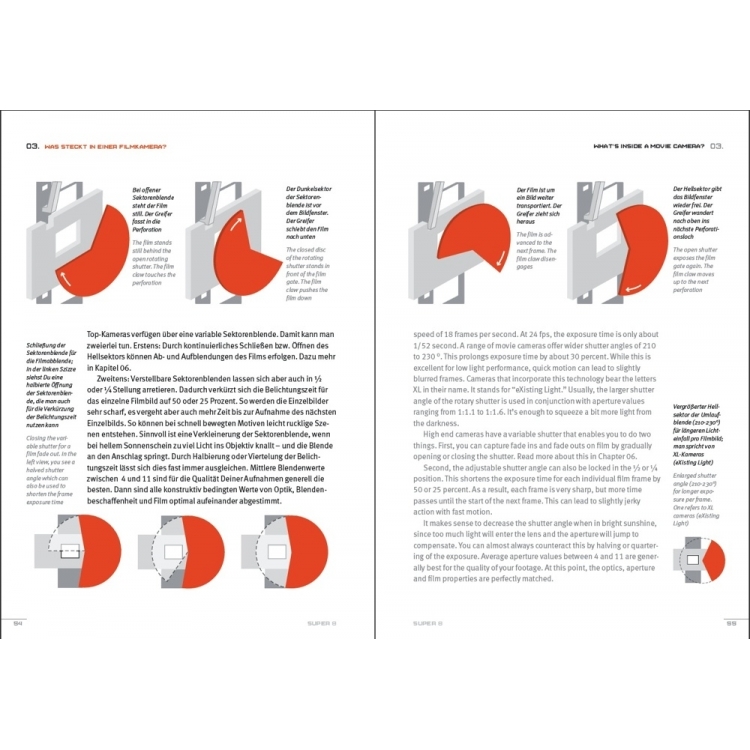 What projectors are most efficient? Which competitions can I submit my film to? 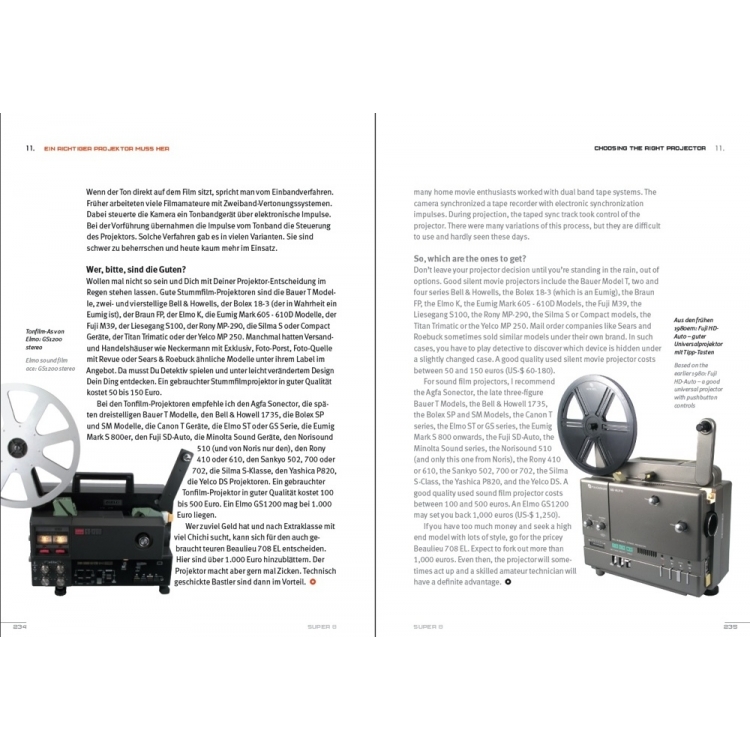 What I need to know about the history of film formats: 9.5 mm, 16 mm, 8 mm, Super 8, Double Super 8 and Single-8? 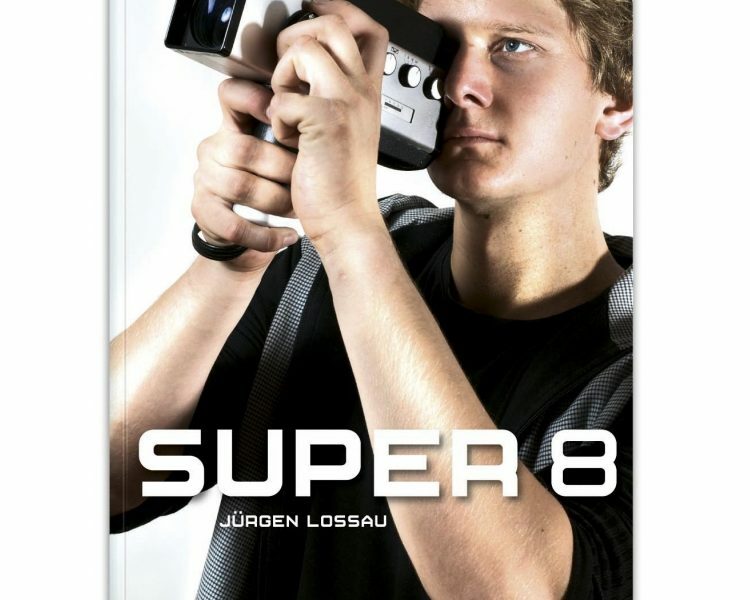 The book SUPER 8, written by Jürgen Lossau, is priced Euro 49,95. We would like to thank our sponsors for making the Super 8 web portal possible.